Mark III Before Wheels Were Added. Mk1 Wing. After diddlebugging, I started to wonder just how nifty these mini balsa planes could get. A little web research led me to Radical RC and the Micro Stick. 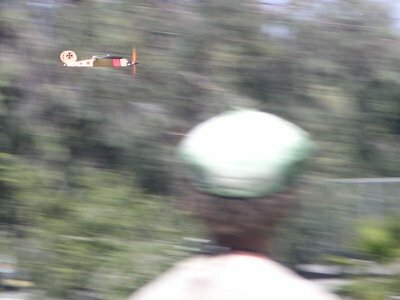 Mark III uses a 4.8v LPS A geared drive with a 2-cell Lipo and a 5040 prop. Pretty fast, very thrusty, great response. 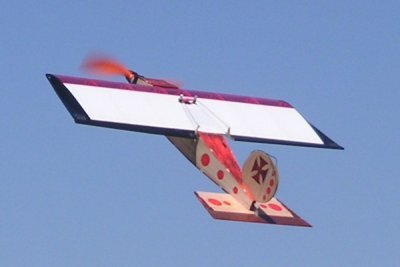 A fun, fast aerobat that can fly in any size field and is very portable. I took it to LA for xmas in a modified shoebox. 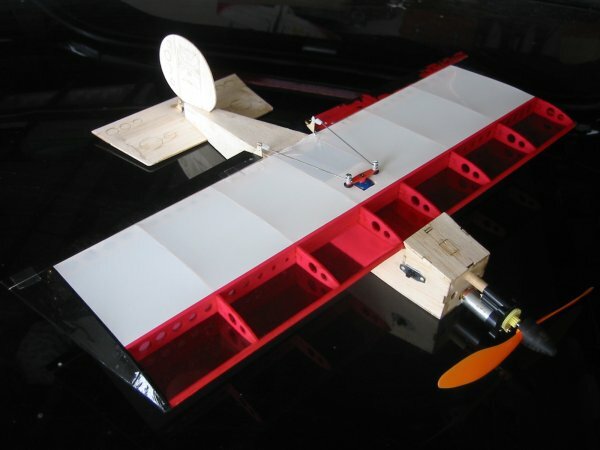 It can be fitted out with a rudder but I'm flying aileron/elevator only. After a while I added rubber-band mounted front wheels so I could fly where there's no grass. I have since started to consider various brushless power plants to give it an insane degree of speed, but that will come in due time.